It is really unfortunate that Mr. Saleh “Gadi”Johar chose such an abrasive title for his article which he may have honestly intended to convey a meaningful and constructive criticism. His recent article written on February 1, 2012 titled as “an office full of mice” is full of misinformation and distortions. The truth and the facts will stand clear as I try to clarify unambiguously the series of developments that affected the venues of the National Congress. Though Gedab News was and is one of the formidable sources of information, this time his informants are completely out of mark and deadly wrong. Despite these facts, I applaud Saleh “Gadi” Johar for his attempts to bring the shortcoming and failures of the oppositions to the open. Informing the public about what is happening with any Eritrean organizational institutions especially with the much anticipated ENCDC is commendable. As members of ENCDC and as one of the persons mentioned in his article, I would have been glad to provide Mr. Saleh with the facts that affect us all. We are in the initial process of introducing a new electoral system to our organizations, to the people and the nation. We have a lot to learn in the coming near future here in the diaspora and inside Eritrea. Having an independent media probing and inquiring about questionable events in a democratic institution is healthy in its self and must be encouraged at all times. The role of the independent media is necessary to pressure “the state and its institutions”, thereby enabling us to correct any wrong doing and take actionable policy and resolutions, to help us grow institutionally and democratically as a society. On the other hand we should be watchful and avoid over politicization, and stretching the issue beyond its limits which in turn can hurt the institutions we collectively envisioned to evolve into a bigger being. Provided the object of the criticism is with a genuine intent of correcting faults and not merely to target old political foes, I believe the clarification below will settle the issue of “Council seat distribution and appropriation”. To help the reader, I would like to clarify that all Elections were being conducted according the guidelines set by the election committee that was handed to the Secretariat for execution. The Eritrean Democratic Front (EDF) was involved in two segments of the election process where help was dearly needed to settle a discrepancy with a missing Islamic Congress Party (ICP), and the Eritrean Global Solidarity (EGS) seats. The election process was unique for the fact that each delegation team had shared seats in consensual and electoral arrangements. The Eritrean Democratic Alliance (EDA) and Non-EDA political parties selected their representatives to send to the ENCDC Baito. The regional delegation along with civic societies elected their representatives in a secret ballot. Out of the 127 ENCDC seats, 66 were allocated to the political organizations, and the rest 61 to the civic, independents, and people’s representatives. Out of the 66 seats EDA was given 38 seats, while the rest of Non-EDA political organizations took 28 seats. Out of the 28 Non EDA seats, 10 seats were given to EDF-a front consisting of 4 organizations. The other 18 seats were given to the rest 19 organizations (mind you, I am saying 19). No one noticed this numeration error until the next morning when the Council came in to session. When Congress came to session on the day one, two members of the Islamic Congress Party (ICP) suddenly started arguing for the missing seat in a noisy confrontation that stalled the session. ICP was claimed by two factional organizations after the National Conference of 2010, and were represented by two officially registered organizations to attend the National Congress. It took almost a day and half for the EDA and Non EDA representatives to come to an agreement of the numbers they can contribute to the Council. The rest of the Council was patiently waiting with clear indication of frustrations and exacerbations. The North America and European regions were allocated 15 seats each. One of each these 15 regional seats were given to the Network of Eritrean Civil Societies in Europe (NECS), and the Eritrean Global Solidarity (EGS) of North America. NECS agreed to take it, while EGS decided to argue the case with the Secretariat of the congress asking to get at least two seats. Twice the congress encountered with a discrepancy in its allocations of seats, EDF helped to settle the discrepancy by giving away from its allocated seats. It is unfortunate that this effort of conciliatory process of taking away a seat from EDF to give it to the Islamic Congress party (ICP) has neither been mentioned nor been made an issue by Saleh “Gadi” Johar or anyone else as they did in the case of EGS. The cooperation and sacrifice made by the delegation from the Sudan and Ethiopia was exemplary, and was done to boost the diversity that North America contributes to the Council. A well thought wisdom, and as mentioned, the representation doesn’t truly reflect the number of refugees we have in the two nations. It was a step, and an act intended to strengthen our national unity by portraying the true image of the Eritrean society. In the National Congress for Democratic Change, the Secretariat headed by Mr. Saleh Omar was responsible for all congressional affairs until it handed over responsibilities to the Council. In that interim period, the issue was brought to the attention of the Secretariat by EGS. The Secretariat then decided to meet with North America region elected members to discuss the issue. As a North America Chairman/retired from the Commission at the time, I was contacted by the First Vice Chairman of the Secretariat- Dr. Afeworki Paulos to meet with the North America elected delegation and discuss the issue of a seat allocated to EGS. None of the North America elected delegates was willing to give up his/her seat, and Dr Afeworki, went back to the Secretariat with a “no” answer. I firmly believe that we Eritreans as people are struggling against a brutal authoritarian regime. 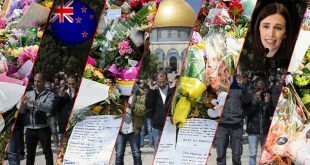 We need all sorts of help from the international community. No shame in seeking refuge in a neighboring country and we are grateful to the Ethiopian government and its people for helping our refugees and the Council-ENCDC. But when it comes to our national affairs and ENCDC, we are the sole owners of our council seats and we distributed them ourselves as we saw them fit. In the meeting conducted by me at the request of the Secretariat, I did not mention any names of Ethiopian officials, and we did not call the meeting to deliver a message from them. No civic or political organization was asked to get a support letter or statement from any entity to hold a council seat ─ as described by Saleh “Gadi” Johar in the case of EGS. The information given by Saleh is wrong, and he has to deal with his sources who fed him with false information. As a matter of a journalistic courtesy, he could have verified his information with me before posting it in his website. Saleh “Gadi” Johar has my address, my email address, as well as my phone numbers. I was asked to help facilitate the work of the Secretariat, and I did it as part of my dedication to the region and as a Chairman of the North America Commission. This is a different mogogo; I want to tell Mr.Saleh Johar – a mogogo sitting on a metal base. Steel made special Mogogo called “Sajj”. Unlike the clay made mogogo, this is built to withstand heavy strikes. If striking the mice, means written or verbal criticism within the realm of democratic culture to fix problems by expressing own opinion, go ahead and strike. Please, always set a higher press standard, and keep your facts straight by contacting both sources of the controversy in order to reach a non biased judgment. On the speed issue, we could do better. As a new institution, we are engaging slowly, but surely we are making progress. With clear plans, reaching out to the communities as immediately as possible, opinion will change and, doubts raised and concerns expressed by the public or the media will fade. Most political organizations had no separation of powers. The Executive body appoints Regional leaders and they literally become their own executives. We hope to have passed that stage and that era. We are now introducing a democratic system of governance with people’s representatives including the people now sympathizing with the regime in Eritrea. The 7 regions in the diaspora are the elements of the foundations of the people’s power. The people’s House we created is the “Eritrean National Council for Democratic Change”, and change has to start from within. The Executive offices, the Legislative Baito, and the Regional Communities have separate responsibilities and tasks. It is not in its jurisdiction for the Executive office to come and appoint leaders for the regional administration. Today, we are a mixture of political organizations, civic societies and independent citizens organized to fight an authoritarian regime! Tomorrow the diaspora Communities will be independent and must be empowered to tell the Council and later the government what is good for them. They have to be liberated starting from now! The North America commission being a good example of such governance style stood its grounds to prevent “mit’e’t’taw eed” “ምትእትታው ኢድ” and demonstrated it with proven results. We are now asking to follow the same path! And I don’t know why Saleh “Gadi” Johar wants to see a reversed version of such a progressive design! “It (ENCDC) is our achievement and the best tool for the struggle, and we should protect it from within (inefficiency and foolishness) and from without (declared detractors under the moral guidance of the PFDJ)”. It is in conformity with this adage that we appeal to our compatriots and especially to the supporters of the ENCDC to avoid old grudges and not to concentrate on personal and trivial comments. Instead, we would like and invite all to discuss, argue and suggest openly and thoroughly on policies and principles that affect the organization. Indeed, that is the only way we could make positive contributions to the spirit of Hawassa and success of our Mission to help our people to get rid of the home grown tyrant and his gang. 1. What do you say about the following assertion: It is not nostalgia or yearning for the physical land that motivates us, the Eritreans in diaspora, but the insatiable and unquenchable love of our people to see them freed from tyranny. 2. Also don’t you think you misunderestimated (to borrow Bush’s terminology) the effect of modern technology and global trade in shrinking the world as we know it and thus abating nostalgia, even though I might not go so far to say eliminating it. 3. How can you relate your argument with Gandhi, who spent twenty four years in South Africa but ended up freeing India? Didn’t Gandhi became “more Indian” than the Indians? On a personal note: I have a feeling that either we are answering questions you did not ask or you did not present your questions properly (I mean unambiguously). As you know the “question” is the prominent and not the “answer”. The best solution could be if you present your opinion (in article form) in this website your readers could have a clear and complete picture of what you want to convey. Thanks for the feedback. You have verbalized the pitfalls of piecemeal analysis and commentary in trying to relate an idea fully. Your idea has been taken sincerely and with an open mind. An article would be the right way to convey my message fully, and awate.com will be the no.1 choice (sorry I can’t see competition!) I think you have brought a clean (not sore) closure to our run around on this topic. Thanks brother. kibreab selomon & b’Alti Arwe W’qatto. Please, write each other in your private e-mail. It looks, two man show your tread of disscussions. Sorry, It is my 2 cent worth comment. Awate Editor’s Note: Dear Tadewos, why would you feel uneasy by their? If they wanted to have a private communication they know how,but public discourse is their choice, accept it as their right. You are welcome to be engaged, it is open forum. Your comment seems to come from someone who wants to curtail public discourse. Say your thing if you like, if not, let others be. PS. Amanuel, thanks for the kind comments, no hard feelings. I just thought to put the records straight. I absolutely agree with Aklilu. The idea that you’ve brought to the fore invites a plethora of articles to cut through it for it is not only of an academic interest but it is as well close to all of us as we struggle to navigate through the murky terrain infested with PFDJ’s political land mines. That is, as the regime injected mistrust including between bedsheets with in a given household, your idea definitely calls upon the Opposition block to assesses its strategy on how to “win” the thrust of the diaspora. Mind you when I say this I am not shooting in my own feet so to speak in a complete reversal to what I have just put forward with respect to the heated commentaries we had earlier, rather I recognize the role and challenges of the Opposition in their effort to break free the fear of the unknown the diaspora finds itself under the shackles of PFDJ. Again, it would be more engaging and clearer as you narrate your points in your much anticipated article. Looking forward to read it in earnest. You need to help me out here. I am still trying to “hustle” through your response to my previous comment where it seems a bit off a tangent where my take was to emphasize on Isaias’ sans-political vision and an incredible obsession to stay in power at the expense of the otherwise precious lives of the Eritrean people. You sure have injected an academic footnotes where a fading identity and the necessity to be dispersed in Diaspora are at a constant loggerheads. That is, as we try to preserve our identities with an intense nostalgia, either because of economic reasons, political or religious prosecution we opt to live far away from the epicenter where our hearts belong. That as it may, my intention was again, to highlight the seemingly unsurmountable uphill the Opposition faces as it pushes through the sophisticated political machinery of the regime in Eritrea. Here is the deal: one doesn’t assess the weaknesses of friends. One assesses the strengths of loved ones or friends so that one could or would capitalize on them. In a sharp contrast, one assesses the weaknesses of enemies. Isaias belongs to the latter. If I have understood you correctly, the Opposition parties do not have any reason to win the Diaspora simply because, the Diaspora doesn’t have to be told that Eritrea is in a bad shape. The Diaspora doesn’t have to be told that Eritrea needs help for the writing is on the wall for everybody to see. The Opposition parties could only “sell” their respective “products and services” and win the hearts and minds of the people in a free and democratic Eritrea where political platforms compete against each other to serve the people better as the people are the sole owners of the political process. Let’s please stay focused until we digest and fully understand the content of a comment. There is no use losing the essence through tangential slippery slopes. My comment about diaspora is an issue of self knowledge that can only guide the struggle. Who is diaspora, what is diaspora… and related questions require thorough clarification before getting entangled in nuts and bolts of things. Please read the stated comment again, if you still don’t see the relevance. Just to highlight the fact that self awareness about diaspora population as a very relevant point to the question “how the opposition should win popular support” It is worth to mention that the vast part of political activity in of Eritreans is carried out by the diaspora (across the political divide). According to a study by IMF, in 2011 the total net worth of sub Sahara diaspora was estimated $31 billion. The diaspora is becoming politically influential in powerful countries. The economist indicates this by stating ” There are now 215m first-generation migrants around the world: that’s 3% of the world’s population. If they were a nation, it would be a little larger than Brazil” Of all the political groups, the PFDJ seems the only one to utilize this asset, why? There is no point in saying no need to tell the diaspora anything and it should read the ‘writing on the wall’. There are many reasons to endevour to learn and understand the basis of interacting with the diaspora. Studying its situation, fears and concerns, as well as aspirations and modes of operations. Let’s not throw away pertinent discussions as ‘tangents’ and others. Some topics are boring and tiresome, yet they must be processed as a necessary task of grappling with the first task of self awareness. I believe sister arwe w’qatto, has unplugged and unrattled you, to finally relax the arguments and ended up with somewhat mutual understanding. If I am not wrong you could rest the case with that note. Brother Amanuel (funnily enough I have a biological brother by the same name!) You are very right if you mean that arwe w’qatto has done a splendid job in relating her views with clarity and thoughtful comments. I find many of her comments pleasing to read and motivating to respond to. As to what she may or may not have done to me, that is not a healthy perspective I would wish to entertain. I take her dialog as a sincere desire on her part to engage her fellow Eritrean. It would be prudent to wrestle ideas, as she amply demonstrates, than people. The latter only serves to discourage people from exploring each others views for mutual betterment. The feeling is of course mutual. I actually thought the sense of flicker idealism was escaping me as I got older for it’s been a long while since I immersed myself onto the realm of humanities or social studies. Hope you will grace us more with your intellects and great command of the language as well. Much respect. I think of lack of words, I have used itching words that makes you uncomfortable. I apologize for that. What I was trying to convey was to remind you that, at every entry of your argument, you were leading us to a new periphery arguments, away from our point of departure. Hence my comment was to “highlight” that you and sister Arwe have reached to a common understanding as far as the initial argument is concerned. If I am not wrong sister arwe did also mentioned in one of her comment that the argument is deviating tangentially to other topics. Other than that your intellectual input is magnificent and entertaining, one can see the art of politics into a play. Don’t you think that technology ( telephone, internet, TV, radios…. ); faster modes of transportaion and add to that the persistent interdependence (monetary and material assistance by each and every person in diaspora to its respective family) might have abated the classic “nostalgia”? In the older times nostalgia was a big deal (psychological downer or the opposite) because the seperation between those who inhabited the ancesstral environment and those who left and lived in evolutionary envornment was almost complete. I am still struggling to connect the dots between the issue at hand (Isaias’ mastery in manipulating the “weak” side of the Eritrean people) and the challenges the Opposition face to “win” the Diaspora. I wouldn’t pretend to know the social dynamics of diaspora where I am not an authority to comment on it. But of course, one could make an acquainted comments based either on a casual tuning in to information or through experiences as well. It probably is safe to claim that, Eritreans in general are late comers onto the world of diaspora where the average time-spent in diaspora is twenty five years which is a relatively short period of time comparing with the other segments of a society particularly in North America. It is equally important to emphasize that, when most of the ethnic minorities are driven with economic betterment, most Eritreans left Eritrea because of political prosecution where the prosecution was mainly pronounced during the Dergue era. That is, when the reason to live in exile was the only option, the need to sustain the identity was fiercely preserved simply because, the believe in returning to an independent Eritrea was as a vivid and a done deal scenario. Ten years fast-forward after independence however, the mind set and the collective ambition to build a new Eritrea started to tarnish by the day. And of course, the slow death of a dream is attributed solely to the sadistic nature of the regime in Eritrea. In the midst of this rather depressing de-development, Eritreans begun to own the unravelling either by actively challenging the regime or by stepping aside for fear of retribution on their loved ones who remained behind in Eritrea. The veil behind the indifference of the latter is not however attributed to a lack of interest or knowledge about the grim reality in Eritrea rather, it has a lot to do with the mastery of the regime to control the populace with intimidation and coercion. That is, Eritreans in diaspora still remain with a keen sense of hope and nostalgia to return to Eritrea when the temptation to get assimilated fully to their adoptive country is incredibly powerful. The inertia to resist the temptation is attributed again, to the love of the nation and to the political tribulations that has shaped up the collective psyche of the people. In light of the said reality, the Opposition parties do not need to win the hearts and minds of Eritreans in diaspora simply because the horrifying reality streams through their blood as seconds pass by. As much as your argument is engaging and interesting, I still think it is misplaced. I say this however with all due respect for we will carry on with similar intellectually stimulating discourses as more ideas flow in anytime Awate.com is graced with heavy weight articles. If I could step on your side of the argument, the said rising population or generation in Diaspora is sure enough politically influential base as as they chip in to the fast growing economic development of their respective countries. Eritrea is however an exception. I will try to elaborate on that later on. Crony capitalism as it is pejoratively known, people or citizens with massive wealth influence not only the political process of a nation but they own those who are on the highest office of the land. Latin America in the early 80s through early 90s is a case in point. When liberal democracy (read economic liberalism as opposed to political liberalism) was the order of the day, the political and economic forces of production fell on the hands of the few where a decade or so later, Latin America got swept with the rise of Leftist movements as we witness it today. If it is any relevant to, one could notice the rise of a similar pattern in Ethiopia as the government resist the temptation to liberalize government owned economic institutions for fear of falling prey to the immensely wealthy few. If I could borrow Samuel Huntington, the weakness of nations is attributed to the decay of their institutions as such the underdog falls prey to the wealthy as the latter owns the political process. As much as the sub-saharan Africa narrates the same story, Eritrea stands out to be alone in a grey area. That is, the regime in Eritrea seems to overlap between the “isms” where totalitarianism and authoritarianism compete to describe it. The question still remains: Can the well to do (economically well off) Eritreans in diaspora influence the political process in Eritrea. I think not. Simply because, it is not that Eritrea escapes from the Huntingtonian description, rather the regime controls and micro-manages every facet of the nation. Moreover, as the economic pillars in Eritrea are depressingly owned by the regime, the well to do Eritreans have a little leverage to maneuver things around. To be more precise, the regime capitalizes more on the loyalty of its citizens as oppose to their economic standing for it leaves no household (wealthy or the destitute) as it devours to fill its coffers. I was in a middle of reading the much hyped and a run-away best seller book “A Girl With A Dragon Tattoo” when I run into Saleh Younis’ series on “Isaias Shrugged” based on Ayn Rand’s quasi philosophy in defence of Individualism and Capitalism (Atlas Shrugged). As Sal was making comments on Isaias’ crude translation of certain English technical words into Tigrigna, I thought I use the title of the book that I was reading for a pen name. And it got stuck. Hope you don’t find it a bad taste. It is strange that there is so much commotion about some one asking that things aren’t done on time, and somebody else replying ‘bear with us, we’ll there soon’. Peoples reaction here seems like they’ve captured live tiger and tamed it. This would have made sense, had it not been part of a bigger maniac episode that is gripping the opposition camp. How else would you explain the act of setting up a gov’t in space with no popular part in it??? What is stopping you haw Kebreab, and what can the opposition do to win popular support. It is easy to follow one line of order-doing what the government in Eritrea wants you to do. On the other hand, it takes enormous amount of human and material endeavor to entertain ideas of a diverse society and come up with workable plan. Here is the challenge for you to help, come on board, engage yourself, and be part of the solution! Thank you Eritrean brother Hailemariam. I don’t want to theorize about “what can the opposition do to win popular support” least it would appear going beyond an individual’s natural scope of inference. The only concern I would air from personal experience is that it is not easy to win popular support when people are castigated as PFDJ when they air innocent views and concerns. If one criticizes PFDJ they are branded woyane, and if they criticize the opposition they are branded PFDJ. Can there be a middle ground where regardless of what someone might subscribe into, their concerns and views be taken at face value? If both PFDJ and the opposition are going by 10 pages rule book, would that be enough to answer the most complex and intractable problems that our country is facing right now? There is no a middle place in war zone or in a place where crimes take place. Either you have to escape from the place where an organized crime takes place or you will be a victim. What is going on in Eritrea has become known to the world and it is really amazing an Eritrean to feign that he is unable to take side. brother kebrab, we have in Eritrea criminals and victims, and third entity that summons each other to save the victims. I think the case by now is clear even to those who live in the Islands of Wag-Wag. Kebreab, you said “Can there be a middle ground where regardless of what someone might subscribe into, their concerns and views be taken at face value? If both PFDJ and the opposition are going by 10 pages rule book, would that be enough to answer the most complex and intractable problems that our country is facing right now? You triggered me to think of 10 points, and not 10 pages-rules of engagement when debates issues that concerns us all. If you agree with all those points….we are together regardless where you are and we will finally meet at a point. 1. Branding each other is with “names” is bad, and admit that creates a barrier between us. 2. When making opinions, think of the people at home and all the victims of the regime. 3. Defending the opposition and or the government should be with well founded arguments. 4. Eritrea is an independent nation, with no liberty, freedom, and a constitution (rule of law). 5. Eritrea is a multiethnic and multicultural nation, and believes in unity of diversity. 6. Independent thinking, and not group thinking guarantees our future freedom. 7. Forms of opposition vary from prayers to upper being; to armed defense. 9. Agree to disagree, and believe in that everyone is entitled to his own opinions. 10. Able to verbalize with confidence the above statements in private and in public. How about that for a manifesto? Did you just “improvise” it? No wonder I am proud to call you our leader. Brilliant. Thank you Hailemariam. All the points (except some aspects of #7 and #8) are totaly agreeable to me. I hope we all internalize them and use them as a guiding principles of our civil, political (armed???) discourses. skyscrapers construction begins from small bricks. Healthy, strong and fruitful organizations are the result of vocal citizens and not the dumb ones. Millions or if you like a zillion if you know the number of its zeroes of dollars begins from cents. We are kindergarten in democracy and are not ashamed to applaud for small positive move. We know where we stand and where we are heading; a journey of thousand miles begins from one step. Being a downer is not cool at all. Political parties are entities. They have a life of their own. They come to life, they go through growing pains and they own a milestone before they fully mature. Do we expect ENCDC to falter? Sure. Do we expect ENCDC to come right back up and learn from its mistakes and stride with vigour and determination? Absolutely. If we preserve through the trials and tribulations of our convictions, that is called a character but if we are bogged down or get stuck in belittling people or principles, it would be difficult for people to take us serious. If you care, contribute for a better future. Again, being a downer ain’t cool at all. One wishes to see your comments in every article. thank you. You said it all in a nutshell. Nothing can be attained without trails and tribulations of our conviction. That is the character we need to instill in our mind. Your comment is always like an armour for a fighter. Saleh Younis aptly called it, “The making of a paradigm shift”. Sure enough, the term is liberated from its confinement in text books or lofty academic publications. We can feel, smell and see the historic event when our leaders (Hailemariam Tesfai and Saleh Johar) cut the ribbon in the ceremony to inaugurate the era where bickering, recrimination and blackmailing disappear onto oblivion. If the infamous “N’Hnan Elamanan” heralded a plague in our political culture, the exchange of letters between Saleh Johar and Hailemariam Tesfai has heralded the birth of a New Eritrea. Eritrea is on the rise and her children are coming home for the days are longer than the nights as the Sun refuses to set. Oh better days are coming. And many thanks for those kind words. I am grateful. mothers love their children. my mother chose it. no doubt you are one of the kind but very much intelligent mothers of Eritrea. you have a lot of responsibilities to perform. I have seen through this telescope call Awate that you very important. My apology if I came across as a downer. Saying that however, I fail to see what kind of organization would grow to be strong if it has come to be treated with kid gloves. There is no need to be jittery at every view that may sound untoward. Praising is not the only road to legitimacy. Tough question ought to be asked and courageous answers should be forwarded. When an official gives a response, it should be an opportunity to ask them further questions and find out if they mean what they say. Simply singing hallelujah and going home doesn’t test their mettle and what they’re made of. Dan Connell once described the regime in Eritrea as a Sophisticated Tyranny. When great leaders envision for a better future and study the strengths of their own people, the tyrant in Eritrea spent thirty years studying the weaknesses of the Eritrean people. Thus, it turned out to be the most sophisticated political virus where it eats you up by using your resources in a bid to stay in power. The resources of the Eritrean people are not golds or other natural graces rather their resources are their kindness, sympathy and generosity and the tyrant has eaten it up in a bid to stay in power. In light of that, one should applaud and commend the Opposition parties as they stride an inch for the tyrant is one of the most difficult “political” power to defeat. History however sides with those who think with their hearts for the truth is on their side. And it is absolutely possible to defeat PFDJ. 6) they continue to relate, personally or vicariously, to that homeland in one way or another, and their ethnocommunal consciousness and solidarity are importantly defined by the existence of such a relationship. “Home” is the starting point for almost all diasporic communities – it is Eritrea for Eritreans, China for the Chinese, Greece for the Greeks, Italy for Italians, etc. “Away” is the place in which both the physical and mental process of the diasporic experience occurs through the processes of “displacement from the old and emplacement in the new” (Palmer et.al.) These processes can involve alienation and marginalization, whether it be political, economic, social or all three. Finally, some form of “return” or re-turning occurs. Some diasporans return to a homeland which, they discover, is no longer the homeland of memory, nostalgia, and myth, as nurtured in diaspora. Many changes occur while the diaspora group is away. Hence, with this backdrop, it is not difficult to appreciate the complexity of the struggle that Eritreans face, and all along the point being made here is for us to be grounded in facts and realities of our situations than figments of our nostalgic imaginations. As we are travelling through the shadows of the valley of death towards redemption, God sent us a companion star with a mysterious name called b’Alti Arwe W’qatto. We do not know why she chose that name but we liked everything she said. Thanks sister for your contribution in this venerable website. I don’t know if those source of your words is an ordinary mind, but there is a lot to be gained. as once one of our great men say it (“gual hedrtna”) I am in doubt if you are really from material world. But I am certain we will get a lot of lessons and we will be more armed in facing the enemy if you are around. I will not beg you as it is your duty to serve us like mother and come out and say here I am with not only comments but books. Dear Hailemarim, you well know that we are not used to such graceful responses to comments let alone criticisms; but we are used to getting deceleration of war and threats from some entities for publishing a tiny news item. I am elated to read such a refined response, in a very disarming tone, from you. In fact I am prideful that such a discourse is taking place at awate.com for all to see and ponder. Thank you very much Hailemariam. Thank you a lot for showing the way on how those in the leadership should engage with the media and the public. I would also like to mention in passing that in a congress, attending stakeholders go at each others throats, build alliances to win and negotiate fiercely to secure political gains. Those who do not know this fact should not be in politics. And once the wrangling is over, all the bickering and arm twisting is over, congress attendants are expected to abide by the outcome. Anything that has reached a negotiated settlement, even through political maneuvering, should be sealed, accepted by everyone regardless. Even those who lost the round must abide by the result. That, as you well know, is a discipline that is lacking in many instances; but we will get there, surely fast enough. And your response my supporting evidence. I can’t thank you enough. Being a council man, your decision to reply to the part that concerns you, is well appreciated. That is what a true politician is supposed to do–try to set the record straight. But as you understand, I am still waiting for an official explanation. Furthermore, the political party that you belong to is part of a coalition which is implicated in the issue regarding the seat of the contested appointment. Thank you very much for your response, for explaining your perspective, but still I am sure you agree with me that the public deserves an official explanation. I am glad that one of the main points I raised is now resolved as the the regions now have directives on how to operate which is also published on Gedab News. Other issues are still not explained, or resolved, again the public needs an explanation on how things happened. You mentioned others issues regarding ICP seats. Here is my position: if there is anyone who was appointed, whoever it is, after the 127 names were read at the congress, and after the 600 people crowd cheered, clapped and blessed the elected council members, amid camera flashlights and all, they have to be respectfully told they are “gebbar” like the rest of us, not council members. I still oppose the appointment that happened retroactively, if I am mistaken, I will see where my mistake is once I see an official explanation…and I wish that explanation comes influenced by the tone and temperament of your article. Thank you very much for the assurance. Thank you for confirming to me that the opposition communication is fast coming of age. Haw Saleh, I am so humbled by your kind words! I hope this incidental moment will open a genuine dialogue between our varying communities holding diverse views. At this stage, I encourage you to play more of a moderator role in the forthcoming debates; because you have already accumulated enough knowledge about issues that concern most Eritreans. A legimate grievance that demanded full redress was presented by a credible person (Gadi) and the first response was presented timely (in any grievance responding time has a very high essence) by a credible person (Hailemariam). Thank you both. Your efforts has prevented the proverbial “straw” from fruition. Thank you haw Aklilu for your nice words…..We are not all perfect, but we have the responsibility of appropriately responding to questions raised in a public domain. Thank you brother Hailemariam, you have added to your urgent article an Eritean made sweet smelling tasty spice that makes a full stomach hungry. The delicious zigni you have cooked and injerra baked is a sample of the new democratic Eritrea that we yearn for. Yes, we want a leadership that cares and responds promptly to the calls, but before the foul whistles of its people; a leadership that perceives every citizen is a precious number with indefinite counts, thus the leaders hasten to listen and answer his grievances. Brother, failure is the accumulation of tiny mistakes. A leader who cares about tiny errors will certainly declare state of emergency when happen to occur glaring mistakes. Let us all be vigilant and guard our democratic struggle from intruders and homegrown opportunists. Please keep the transparency and the trust of your profession. I am now making a mental count of how all the “leaders” of our opposition would have responded to a tough-love critique like the one Saleh Johar wrote and, wait, I am counting… yep, that is 18 (of those who came and went and are still there)…and I count 6 over-reactions and 12 nedekha my wredela responses, but none of them would have been as classy as yours. It is so good that I am going to use an expression that I absolutely hate: you have shifted the paradigm. For one thing, you have come from the mountain top to converse with your compatriots (I can think of one dude who would have written a press release complete with pretentious “From The Parliament” stationery:-) Very well done, Hailemariam. As we never tire of saying awate.com’s job, first and foremost, is to inform, inspire and embolden Eritreans: so, in that spirit, your article and Saleh’s article now link to each other. Those who read Saleh J’s article and want to get the other side of the story will read yours and vice versa. And people who read both WILL be informed and inspired and emboldened and reconciled. And, like two steel clashing, you will sharpen each other. It takes people like Saleh to push for change and people like you to show you are working for change. Thank you haw Yonus for your kind words. Movements like this come every ten years, but we always miss the opportunity to use them to our advantage. In 2001, in Washington DC, I remember Dr. Tadesse A.Tadesse conducting a video presentation on paradigm shift….It was about a corporate management, and the resistance encountered by high level executives believing that the old way of doing business is better. The paradigm shift in the opposition struggle is now tag-lined by “Democratic Change”, and we all have to test ourselves on a daily basis, and per event-if we are changing our old ways of doing business? We better practice what we preach! 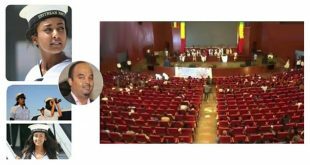 Wedogeba.net was about to have a field-day and a fun-fare day after Saleh Gadi posted his critical assessment about the progresses and regresses of ENCDC but little did it know that, it was the dawn of a New and Democratic Eritrea. Moreover, Mr. Hailemariam has made us ride on his giant shoulders to show us the blueprint of a post-Isaias Eritrea. I salute you Sir!!! Thank you Ghambit for the kind words. We have a huge task ahead of us to bridge our differences and connect to the true nature of our society. With the help of persons like you we will do it! and keep the spirit as you said “this is the original spirit of our unadulterated cultures at home”. Gentlmen. This is the dawn ( the Wagahta) of our democracy (God willing). Thank you Mr. Hailemarian i like you cool style and wisdom, i tip my hat for you Sir. Thank you Mr. Gadi i admire you intlectual provacation, and i tip my hat for you too Sir. I salute you back Sir, Thank you Abu Aare! I have read countless articles in Awate and enjoyed most of them, but I was struck by the positive and wise tone of this message. Once and for all, Hailemariam has set the tone of our future discourse. This is how our leaders should respond and behave. Thank you Hailemariam for leading the way. And many thanks to Saleh for siding with the public and its right to be informed. I’m glad Hailemariam reciprocated the the spirit of your message that puts public interest above everything. I was so happy with both Saleh’s and Hailemariam’s articles that I just called both men and congratulated them on a job well done. With more of this, I think the future will be one that I will like. Men’esey Semere! I was glad to hear, and read from you. Remember, As the first Chairman of the much talked about EGS now, and may be the youngest member of its Executive then, you continue to instill hope, and play a positive role in the struggle against the brutal dictatorship! Thanks again for the kind words! cyber warrior ኣጠሚቖምኒ ቅጭ ዘምጽእ ቃላቱ !!!! ሓቆም፣ ህዝቢ እዩ ዝዓጅበኒ፣ሕልናይ ዝኾርዓሉ !!!!!! ሕማም መርዘን ከተሕዊስ ፣ መርዚ ሙዳዳ ሰትያቶ !!!!! Hailemariam and Salih, thumps up your articles are examples of the start of our Democratic culture. Thanks and keep up the good work. Thank you for bringing forward the issue of ICP, which was resolved in the same manner as that of EGS to avoid politicizing. The public must understand to the well meaning approach and wisdom of the EDF in particular and the the national council in general. And let it be known that, ENCDC will continue to explore any venue that unite the opposition camp and by extension the Eritrean people. There is no noble mission other than to unite our people. This is at the heart of the leadership and we will thrive to realize it. Thanks haw Amanuel, As you said we have to focus on the politics of common goal. We are a diverse society and we will have so many issues to politicize, but now we have a common house and a common goal of getting rid of a cancerous regime. But I am still at lose as why the EDA people throw seats here and there. It doesn’t sound healthy. 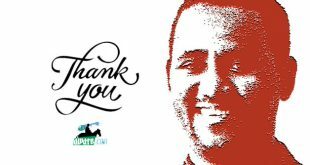 Firstly, I thank Mr. Gadi for sifting our brother Hailemariam T. Tesfai from inside the steel made and the powerful strikes-resistant-mogogo to the open plain so as to be chased easily. No more mice that make us puzzled. Listen all mice, no place for you in our floor to hide in; we have sajj mogogo and pesticide, and soon will introduce electrified door for our mogogo. No more scarcity of injerra, we have around the clock service of injerra. Why do you keep quiet Mr. Hailemariam until we become enforced to whistle foul? The ENCDC should not leave the people without information for such a long time. I think it is important to fill the gap of information not only to our media outlets, but to the entire people of Eritrea. Secondly, it is very vital to activate your information tools properly and open many sources from the ENCDC members to be contacted. The addresses of the assigned members should be available at least to all opposition media. Thank you Mr. Hailemariam. going back to that Steel mogogo ,”LET US HOPE IT IS MADE OF STEEL ,AND NOT STEEL PAINTED “.you will know them by their fruit . Thanks Haw Hameed, I agree with you, as I indicated in my response to haw saleh, we had so many organizational issues to clear. No excuses….…”share it with us- the people, we can help!” One can say! Yes, we will in the future. We are over one hundred huge, medium and small sized organizations….and we needed a little more time to organize. We have now heard your whistles, and I promise you, we will keep in touch in continuum. It is about creating a system and a mechanism! Thank you brother Hailemariam fro dedicating a part of your time to reply to my comment. In fact the original reply to your comment is pasted above and I tried to paste it to the right place but awate’s program declared foul to my re-posting the comment. Thanks again to your kind reply. This article has come in correct moment. Yet the earlier article of Saleh “Gady” was important as this has opened the way for all to show that this congress is ours and we care. We must still remember this congress is the first (as far as I understand) that came with democratic quality in our history. This didn’t come just like that from the sky but with great sacrifices of all those years. We Eritrean people had been asking national freedom and fighting for years but we were not caring our core aim of the democratic Eritrea. A lot of great men were killed by the hand of few among us and we didn’t care of all that except the “national freedom” (I don’t get the taste and I don’t have sense of that) which is only a transit to create a democratic country. There was no openness, no accountability, and only do what those useless guys order you to do. Today when we see the article of Saleh, most of us surprise just because we are not used to do so. If you are from EPLF, even the higher crime done by your leadership, you will not criticize. No more, those days has gone. You must ask and if you see mistakes stand and face it. Face to face talk and solve it. Look, ELF was born being result of struggle but at last we had a tiny democratic element till even the mice from EPLF work inside it. In 1980 ELF was not only destroyed by EPLF and TPLF war but there was a group of EPLF workers doing their job. This is additional to the feudal type leadership’s weakness. At last we the fighters pay for it. ENCDC has started with great plan and clean base but we need to watch day and night and follow them while working hard with the administration. The dose given by Saleh has let you write this article and I will call it vaccination or antibiotic and I am sure we all will work and fulfill the aim of our people. At the same time we have seen those “aybelnan dooo” people pointing there fingers and we have seen some opportunists who play double. We have seen with Article of Saleh the great stand of our real revolutionaries. Even I will like to see more tough and thoughtful articles so we can let people say and clean their doubts. Above all the article of Johar encourages people to take more responsibility and stand for their rights. Awate, I feel that you are the leading democratic political line with all your staff. Thank you very much. Thank you Kokhob Selam, I agree “This article has come in correct moment. Yet the earlier article of Saleh “Gady” was important as this has opened the way for all to show that this congress is ours and we care.” In a society, every individual has a unique character. At times, a character like haw Saleh’s triggers troubles, as well as solutions! LOL.